Wireless Guardian is an Intrusion Detection Expert System for Wi-Fi networks. Its engine is programmed to use advanced techniques and attack patters to detect anomalies such as performance and security breakdowns on 802.11 networks. This product permits people with basic knowledge on wireless networks to understand and interpret events and to detect the attacks being made on their Wi-Fi network. Good warriors lure their adversaries to them, and they are never drawn away from their area of strength. Wireless Guardian is an intrusion detection expert system used to analyze performance, and it was especially designed for use by SMEs. One difference between Wireless Guardian and other intrusion detection systems lies in its interface, which is designed to be user friendly to IT novices. Another distinguishing factor is its capacity to carry out an exhaustive 802.11 layer 2 protocol analysis. Its simplicity makes it possible for personnel with basic IT knowledge to understand the events that are occurring on the wireless network. Personnel can also save a log file, and follow the advise given by the system in each situation. Did you know that an attacker can compromise your wireless network without being connected to the network? Did you know that there are 30 different attacks that can be used against your wireless, and that most commercial APs only detect 5% of these attacks? Does your antivirus protect your from all attacks? How do you know what is happening on your wireless network if you don't have the specialized hardware and software to make this possible. Why do you need Wireless Guardian? While it is unlikely that a hacker will connect a system right in your office, it is easy for attacker to gain remote access to the wireless network, and if the wireless is not properly configured, hackers can access all the information on your Intranet as well as any information on the computers connected to the Intranet. In consequence, any system connected to the network -including the salesperson's laptop with that customer database or the designer's system where he is working on the new prototype- are possible victims of the attacker and all the consequences resulting from an attack. Because of wireless device software failures, it is possible for an attacker to gain control over your system without even being connected to the same network or while you are not even connected to the network. With only your wireless card active, hackers can execute denial of service attacks or inject malicious code on your machine. 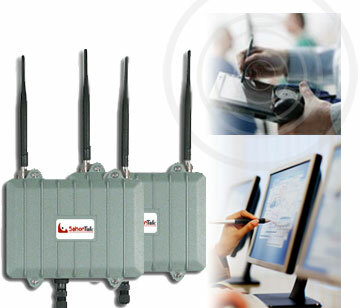 Wireless Guardian is a product designed especially for Wi-Fi networks. It is a highly sophisticated IT product that was designed especially for IT novices. Thus, anyone with a basic knowledge of networking can understand and use this device. What attacks is it capable of detecting? Board size 4.85" x 5.7"